Two pillars of the under construction flyover collapsed in Varanasi's Cantt area, bringing a huge slab of concrete down, crushing cars and a local bus under it. 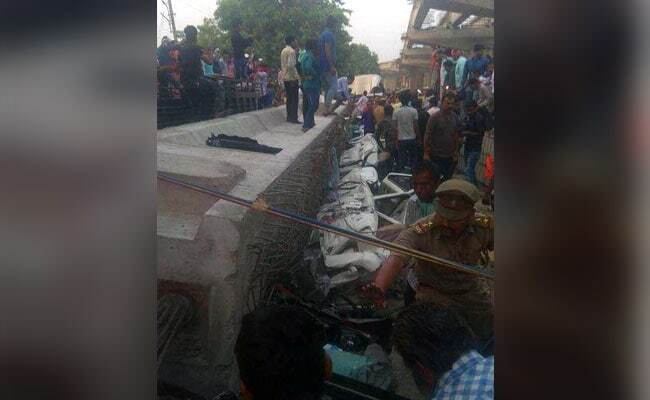 Varanasi: At least 16 people have died and many are feared trapped after portion of an under construction flyover collapsed in Uttar Pradesh's Varanasi today. Two pillars of the under construction flyover collapsed in Varanasi's Cantt area, bringing a huge slab of concrete down, crushing cars and a local bus under it. Many of those trapped are reported to be labourers who were working on the flyover. A team of National Disaster Response Force or NDRF has been rushed to the spot for rescue operations. Dozens of policemen are also present at the spot. The number of dead has risen to 18. Sixteen bodies have been recovered and three people have been safely rescued. Union Minister Suresh Prabhu on Varanasi flyover collapse: "Saddened by the loss of lives in the unfortunate accident at under construction flyover in Varanasi. May their soul rest in peace. Pray for the early recovery of those injured." An eye-witness of the Varanasi flyover collapse says, "I was at a distance of 50 m from the flyover when it collapsed, trapping people under it. Four 4-wheelers, an auto-rickshaw and a minibus were crushed. The help came after an hour." News agency PTI reports that five bodies have been recovered from debris of the collapsed flyover in Varanasi. UP Police in a tweet says, "We request the citizens of Varanasi to avoid going to the spot of the incident.The crowd not just acts as a hindrance in relief and rescue work but also poses danger for your own safety." Visuals from Varanasi where operations are underway for rescue of those trapped under the debris. 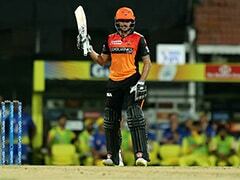 "A tragedy like this in any corner of India makes one very sad. I express my condolences for the families of those killed," says PM Modi. While addressing BJP workers at party headquarters in Delhi on Karnataka elections, PM Modi says, "On one side while I am very happy, I am also in pain due to the flyover collapse in Varanasi. Many people died. I have spoken to CM and officials. We have sent every resource we can." A bus is also feared trapped under the debris along with other vehicles, reports news agency PTI. Former chief minister Akhilesh Yadav has appealed to the workers of his Samajwadi Party to assist the rescue teams. He also tweeted, "I hope the government will not just wash their hands off by paying compensation, rather will order a fair investigation." UP Chief Minister Yogi Adityanath has ordered for an enquiry report in 48 hours. The NDRF team has been able to rescued 3 persons from the debris so far. Of the three, two are men and a women. Operations are currently underway at the sight. Eight cranes are being used to try lift debris and rescue those trapped. NDRF teams are leading the operations. A 200 ton crane is being called in. Home Minister Rajnath Singh has expressed his deep anguish over the death of several people due to collapse of an under construction bridge in Varanasi. "He conveys his condolences to the families of the deceased and prays for the speedy recovery of the injured," a tweet from his official account says. Congress on Varanasi flyover collapse: "We are deeply saddened by the news of the collapse of an under construction flyover in Varanasi. Our thoughts are with the families of those who have lost their lives. We wish those who are injured a speedy recovery." UP Chief Minister Yogi Adityanath says that five teams of NDRF with full equipment have been rushed to the spot of accident, in Varanasi. "Compensation of Rs 5 lakh for kin of those dead and Rs 2 lakh for seriously injured in the incident," he adds. Vice President Venkaiah Naidu says, "Saddened by loss of lives in a flyover collapse in Varanasi. My heartfelt condolences to bereaved families and prayers for speedy recovery of those injured." PM Narendra Modi on Varanasi flyover collapse: "Extremely saddened by the loss of lives due to the collapse of an under-construction flyover in #Varanasi. I pray that the injured recover soon. Spoke to officials and asked them to ensure all possible support to those affected."